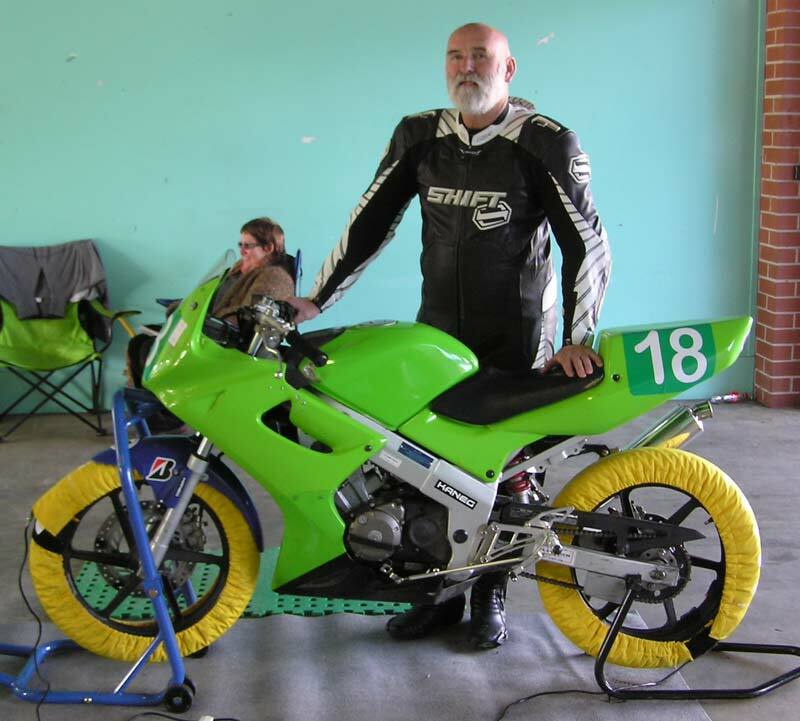 Above: Brian Mowle with his Honda CBR150 4 valve another long term supporter of Motolite/bucket racing. The tyre warmers were certainly needed on the cool day at Eastern Creek. 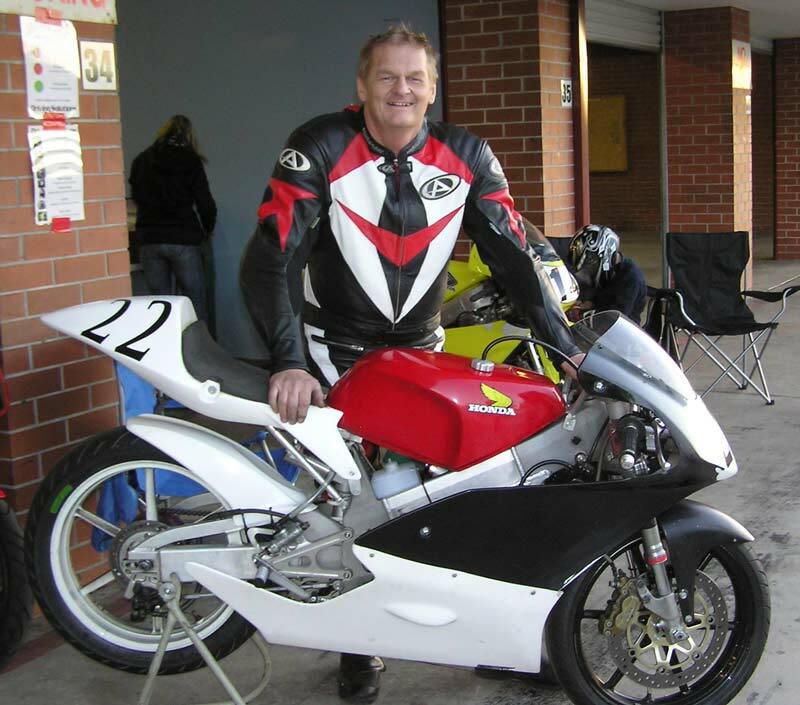 Mark Strong with his CBR150 4Valve travelled down from Queensland. 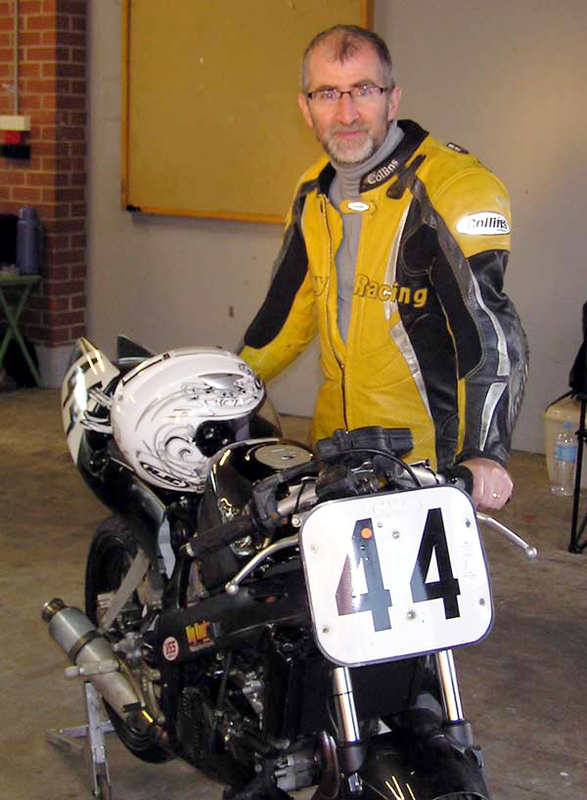 Mark had some bike maladies which kept him out of the results.